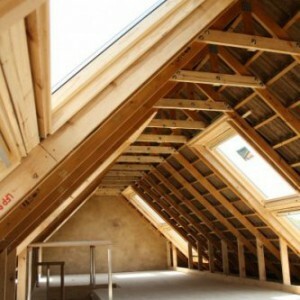 Do you have a big roof with a high apex? If your roof is at least 2800 mm high at it’s highest point then you have a highly cost-effective alternative to building on or selling your home and moving into something bigger. In the same way that we re-configure roof trusses for storage floors, we clear a large area in your roof which then becomes suitable for the installation of a timber structural floor. 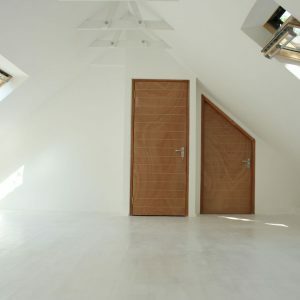 This floor is connected to and supported by the walls of your home or workplace and therefore places no additional burden on the existing roof structure. The floor can be finished either in plywood which is suitable for carpeting, tiling or laminated flooring, or it can be finished with tongue and groove flooring which can be sealed so that you have a finished solid timber floor. Access is provided via your choice of a range of custom built staircase options, and to provide natural light we complete the project with the installation of Velux roof windows. Voila! You now have that new bedroom, study, entertainment area, or studio that you needed so badly. A major improvement to your home at a fraction of the cost of conventional building methods.